If you're one of the folks who subscribe to my weekly newsletter, you never miss the things we post on various sites. For those non-subscribers, here's what we've been up to in the last eight days. Blog Post: MAX MSP Profile Webinar features John Verbrugge of NonLinear Technology Services, Inc. Here's the deal: I do this ALL THE TIME. I love sharing information, and I do it in a variety of places. The easiest way to keep up with everything is to subscribe to my newsletter. I recommend you do that. It's fresh every Monday. The newsletter also includes articles and information that I am not posting on any of these other sites. So you can only get it in the newsletter. If you want even more great info, attend my 11th Annual SMB Preday Show in Redmond on October 1st. You can attend live or get the recordings - same great price. Bethesda, Maryland – August 20, 2015 -- The ASCII Group, a membership-based community of independent MSPs, VARs and solution providers, is pleased to announce a new service aimed at helping members navigate the complexities surrounding sales tax and how it pertains to IT services. Designed to assist VARs, MSPs and other solution providers, the service will offer answers on when they should be charging sales tax related to their service offerings in all 50 states. “As our members continue to expand their services locally and nationally, having a resource to mitigate their risk of improperly applying sales tax is simply one less thing our community of IT providers have to worry about,” said Jerry Koutavas, President, The ASCII Group. For more information on The ASCII Group, please call 800-394-2724. The ASCII Group is a vibrant reseller community of independent MSPs, VARs, and other solution providers. Formed in 1984, ASCII has more than 70 programs that provide turnkey cost-cutting strategies, innovative business building programs, and extensive peer interaction. ASCII members enjoy benefits such as marketing support; educational information; group purchasing power; increased leverage in the marketplace; and multiple networking opportunities. These programs enable ASCII members to increase revenue, lower operating costs, and grow service opportunities. Learn more at www.ascii.com. If you've been using odesk.com or elance.com, you probably know that they merged and the Elance platform is going away. 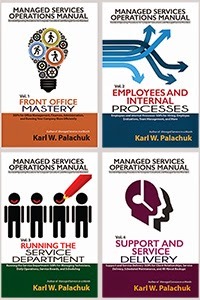 I have updated the resource list at www.managedservicesinamonth.com resources.html to reflect this change. Here's what's up and Upwork. 1) Odesk changed their name to Upwork. Not sure why. Odesk is a much cooler name. Anyway. 2) Elance is merging into Upwork (the outsource desk formerly known as Odesk). 3) You can no longer register a new account on Elance - you need to go to Upwork. 4) Starting in September, there would be a limit to the ability to post new jobs on Elance. I'm writing to share that we will soon wind down the Elance platform and invite customers to join the Upwork community. As we shared earlier this year, the decision to focus on a single platform was difficult but ultimately necessary to help our customers, and company, achieve greater success. The Elance community is incredibly important to us and we will make it as easy as possible for you to copy your Elance reputation to Upwork so you can keep working without interruption. Your invitation to join Upwork will be sent by early September. Also, when you work on Upwork with freelancers you hired on Elance, we’ll honor the same fee as before. • In early August, new customers will no longer be able to register forElance. • Starting in September, we’ll begin to limit the ability to post new jobs on Elance. • Through early 2016, you can continue your current projects onElance. However, we encourage you to begin all new contracts onUpwork and move existing contracts to Upwork when possible. • Through mid-2016, you will still be able to access your messages, contacts, and files on Elance. Upwork has already proven to be a rewarding marketplace for clients who are able to hire more quickly from a larger pool of experienced freelancers. We’re also working to deliver innovations to hire more rapidly: mobile apps are now available for iOS and Android and a new messaging tool enables real-time collaboration. Thank you for your business on Elance. We appreciate your patience during this transition and look forward to welcoming you to the Upwork community. You can read more about this announcement on our blog. Thanks to Lurie from Upwork for the links. Day two of the MAXfocus partner conference in Melbourne focused very heavily on building your managed service business. As I mentioned earlier, Day One covered a great deal on data mining with the MAX products. Day Two focused a great deal on using the tools at our disposal to grow your business. Some of the presentations were from MAX employees, of course. Iam Trump talked about using the security angle to sell new services to existing clients. I was grateful that he avoided the easiest - scaring clients. Instead, he spent a good deal of time talking about the simple things we can do to delivery a significantly more secure network. Some of these things are built into MAX products, of course, but not all of them. Over and over again, the little things kept coming up - like locking down the firewall. Jerry Koutavas from ASCII gave a great demonstration of digging down into LinkedIn and other products to find out an amazing amount of data on prospective clients. He picked a business owner at random from the local area and showed how he discovered who the current I.T. service provider is, the rate he's paying for services, and even the platform used to build the prospect's web site. It was entertaining and impressive. You don't have to hire an agency to do a major background check on prospects - just know a few tricks and tools. 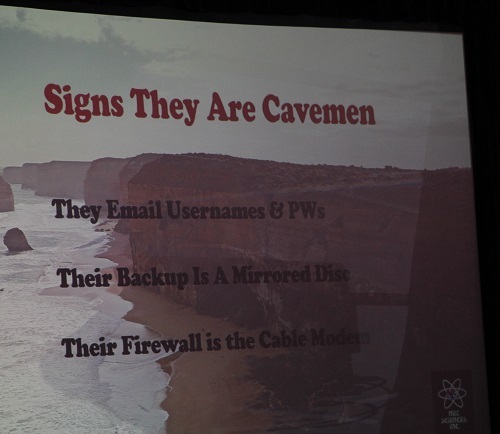 Finally, Josh Liberman, President, Net Sciences Inc., talked about dealing with prostpecs who are new to outsourced IT services. In addition to some great stories, Josh gave excellent insights into the mindset of people who aren't used to professional technology services. The challenge starts with the pain the client knows they have. But as an IT pro, you can see the pain they don't realize they have - or the paint they're about to experience! Josh talked about strategies for getting clients used to the mentality of preventive maintenance. And also about the reality that some people will never come around to that point of view. But if you're lucky, he provided some great tips on gradually transforming these folks into the "ideal client." As I mentioned before, I really appreciate the fact that LogicNow (MAX) puts on an event that is heavily focused on the realities of running a business. Yes, there was lots of great "roadmap" information about their product, and technical training. But when folks take two days away from their business and family, it's nice to get some solid information on improving the business side of the business! I look forward to a bigger, bolder agenda in Washington, DC next month! Details for DC are at http://conferences.maxfocus.com/us-2015/. Josh will be speaking again, as well as my brother Manuel - one of the more popular speakers from last year! 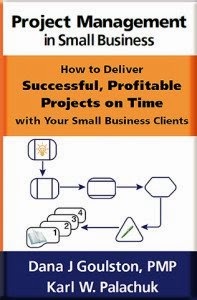 I was talking to a coaching client a few days ago about his success converting "break/fix" clients to managed services. 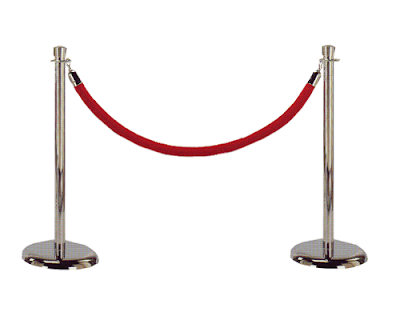 He made a very interesting statement about his price list for managed services: It's like a red velvet rope. If you're on the outside, you get treated like "everyone else." You pay higher rates. You wait your turn. But once you sign a managed service contract, everything in your life is better. You pay a better rate. You have a written agreement. You get preferential treatment. Welcome to the special inner sanctum known as Managed Services. When presenting your service offering, it's hard to under-estimate the power of the Three-Tiered Price List. There are three huge things this list does for your business and your sales process. It can months of effort to develop what you consider to be a "perfect" 3-tiered price list for your service offering. While most people do 90% of the work in a day or two, the fine-tuning and tweaking can take forever. In addition to just figuring out what to sell and how to present it, many business owners need to go through the process of convincing themselves. They need to convince themselves that their prices are fair. And that the bundles (1, 2, 3) make sense. And that there's a true choice here. And that you really don't need people who refuse to sign one of these agreements. The reason some people take months to figure out their price list is that they need to pore over the details until they're both convinced and comfortable that this is the way to go. The magic - the power - of the three-tiered price list is that it helps you set the agenda. Immediately, you'll see the client looking at the options and debating whether they want one or the other. "If I cover the workstations, but not the server, I might spend more money in the long run." Or, "Monitoring's fine, but there's no point in not moving up to a plan that covers anti-virus and spam filtering." Because you've got a written document in full color, the client will not start asking about other plans or other options. They won't ask how you arrived at $125 per user or $25 for patch management. Whatever your tiers are, the conversation will be about comparing the bundles - not picking apart the pricing within them. A perfect example of this is our own three-tiered price list. Our "Gold" option was $15 per desktop cheaper than the "Platinum" plan. With ten desktops, that means the client only pays $150/month extra to move up to the plan that covers all their equipment and their network. One hour of labor pays for that. As a result, we've never signed a Gold contract. Virtually everyone signed Platinum. Two clients (in 15 years) signed a Silver contract. Everyone likes to shop. No one likes to be sold. So hand over your price list and let the client go shopping. I go to a car wash where the attendant hands me a lamenated card with their options for Platinum, Gold, and Silver washes. I never ask if I can get the cheap wash with the triple foam polish. Maybe I could talk them into it, but the package with the triple foam polish is only ten dollars more, and includes the tire treatment, Rain-X, and a lot more. Your Platinum bundle should be significantly different from your Silver bundle. Your Gold should be somewhere in the middle. That way clients can spend time choosing to go with the plan that makes them most comfortable. They will choose. They will shop. You don't need to sell them. The bottom line is that your Three-Tiered Price List is good internally, it's good externally, and it's a good sales tool. If you haven't started building a Three-Tiered Offering, today's a great day to start. Today's topic is "How to make sure you don't lose a bunch of money on Windows 10 updates." Really, it's a great example of using processes to make your business more efficient and profitable. And it demonstrates how new processes evolve from your existing standard operating procedures. 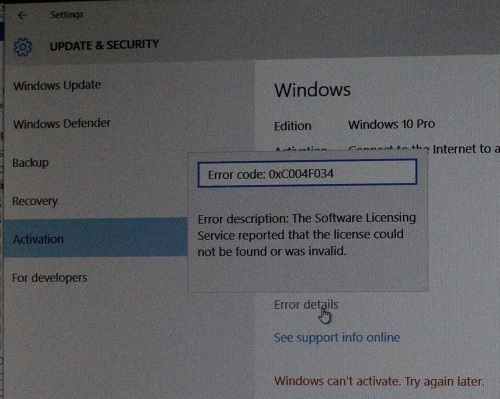 Note: This post includes a free download for documenting your Windows 10 Upgrade experiences. It also includes links to download the W10 bits and troubleshooting tips for the most common issues - so far. Policy: We will not upgrade any machine that is not Windows 7 or Windows 8.x. Policy: We will not upgrade any machine that is older than 36 months. 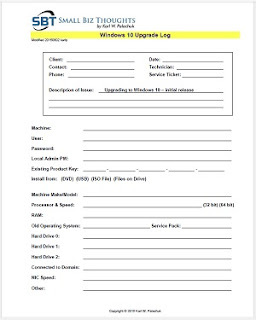 Policy: We will recommend that all clients with Windows 8.x upgrade those machines first to determine whether they like the W10 interface better. Policy: We will recommend that clients only upgrade Windows 7 machines if they have a reason to do so. Policy: All version upgrades to operating systems are billable as an "Add/Move/Change" item. Policy: We will create one service ticket for each machine to be upgraded. I am happy to debate these policies endlessly, but these are immovable policies for any upgrade. It needs to be billable. It needs to be common sense. And, as the Bible says, no one pours new wine into old wine skins. Otherwise, the wine will burst the skins, and both the wine and the wine skins will be ruined. No, they pour new wine into new wine skins. With any new operating system, you literally have no idea how long it will take to upgrade. You also don't know if this will vary based on RAM, processor speed, etc. You don't know what snafu will arise that you need to be aware of for other clients. I'm going to give you some information and tips that should move some info into the "known" category. But you really need to do your own documentation so you set you set your own benchmarks. Remember: you can't create accurate estimates until you have SOME idea how long this will take and what the possible pitfalls are. My Best Guess: My first two installations were 80 minutes and 90 minutes. One was trouble free afterward. The other has an activation issue and I spent an hour researching that. In all that I developed the documentation process outlined here. If I were to give a client a guess, I would guess 1.5 to 2.0 hours per machine and inform them that there may be troubleshooting after that. My third upgrade was the newest, fastest, beefiest machine of all. It took almost exactly 120 minutes. And when it was done, the second monitor (HDMI) wasn't detected. Turns out there's no drivers for the newest machine. So now I think I'll tell clients two hours for install, plus possibility of troubleshooting. I've already seen references to this online. There are various reasons for this. One is DNS. Another is that the license key has to be a specific kind of OEM key in order for the activation to succeed (see Machine Two notes, below). The process seems simple until your product key doesn't work. Not the one on your box. Not the one on the OEM sticker. Yikes. For this issue, I HIGHLY recommend that you use Belarc Advisor or you RMM tool to grep the Product Key from inside the registry. Print it out and use that one when it's time to activate. But, again, see notes for Machine Two. [ Early activations are overwhelming the servers. There is no valid key you can enter into the activation process other than a Windows 10 Product Key. If you are upgrading from Windows 7 or 8, you won't have such a key. The promise is that a legal, activated Windows 7 or 8 machine will eventually be activated in a few days. This was the case with both of the problem machines I had. One of the major reasons that old computers should not be upgraded is that there may not be drivers for the old hardware. More and more Microsoft is getting better with this. But it's not always Microsoft's place to create drivers or mini-drivers. And even with newer machines, the way hardware interacts with the O.S. may be different than it was in previous generations. Graphics cards are particularly picky. Luckily, almost anything will "work" nowadays. But you may not have the resolution or the ability to get that second monitor. So be sure to have the driver web sites ready. Of course, you can always do the research to see whether driver updates are available for all the components on your computer, but that can take forever. One option is to image the machine (because there's no rollback) before you do the update. But you need to tell the client it might be a four-hour round trip and you'll be back where you started. Even then, you HAVE to charge for this. Don't start giving away labor. Inform the client and let them choose. Then collect what's fair. None of this is maintenance. It's an upgrade. So it's billable. I have prepared a three-page documentation form you can download for free. Go to the "Free Stuff" page at SMB Books. Please note that "free" orders have to be pushed manually through our system. There's a lot of free stuff there, so feel free to grab it all. But please be patient until someone can process your order. Thanks. This form is a combination of other forms we use. One is the Machine Spec Sheet, where we gather all the basic machine info. The other is our TSR Log (troubleshooting and repair log). As you can see, once you have the documentation process in place, it's easy to combine these and create a new document that does exactly what you need. Notice that there's some very important information on page one of this form. Of course it has the client, the technician, and the service ticket number. But it also has a place to put the existing Product Key, the local admin password in case you need it, the speed of the machine, and more. Fill out all this information. It will be a way to stop yourself from jumping right in. Belarc will give you all of this information. Your RMM tool may give you some or all of it. Choosing Properties about "My Computer" will give you most of it. Make sure you have it! The form gives tips about good processes and documentation. It should be clear enough for you to give to an entry level technician. In return, they can document the entire installation process. There are two primary benefits of documenting every upgrade this way, especially early in the release cycle when we don't know what other gotchas will arise. First, you will be able to document how long the installation process actually takes your technicians, working with your clients' machines. I can give you my estimates, but three machines is not a valid sample of anything outside my office. Second, if something DOES go wrong, you will know exactly where it went wrong and where you were in the process. If you have to call tech support from Microsoft, Dell, HP, or someone else, you can tell them everything. And of course, if something goes wrong, you can simply use the log sheet to keep track of every single thing you did to fix the issue. In that way, if you have the same problem again, you will have begun the documentation of how to fix it! OK. So let's look at the technical side. 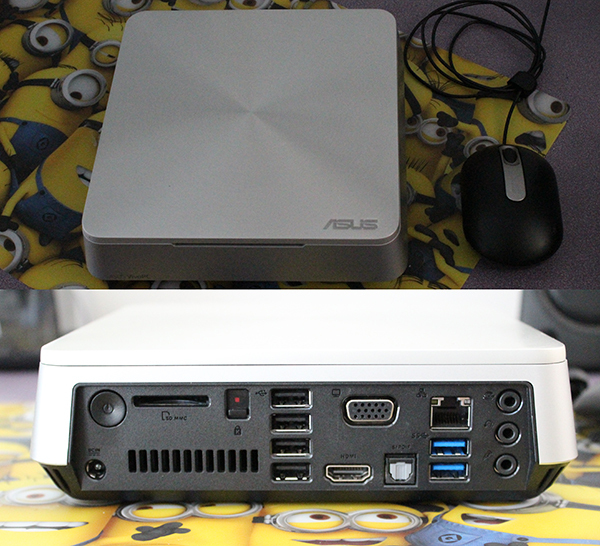 Machine One is an Asus Vivo VM40B. Intel Celeron 1007u @ 1.5 GHz with 4 GB RAM. 64 Bit. Connected to a domain. Install time to successful logon: one hour, twenty minutes. I love this awesome little machine. It could be half as high if it had an SSD drive. I bought it at the low end because it's just for testing things out and playing music, plus converting LPs to MP3s. This machine has been my Windows 10 Preview machine and performed well, except for one update that nuked the start menu. Anyway, I used one of my Microsoft Action Pack licenses to install the release version of Windows 10. I copied the ISO image to the local C:\!Tech directory and simply ran it from there. Because W10 Preview reads ISO as file folders, it worked perfectly. TIP: When asked to check and see if there's a newer set of setup files, do not say yes. Maybe someday. Today, you'll just waste about three minutes and there's nothing new. The setup occasionally goes to a totally black screen for long periods of time. Be patient. Notice the hard drive light almost solid on. The operating system would not activate after setup was finished. The version was Windows 10 Enterprise, so I had to manually enter the Multiple Activation Key instead of a product key. It did not recognize the MAK as a product key. Machine Two was a Compaq 6000 Pro SFF. Intel Core 2 E8500 @ 3.16 GHz with 6 GB RAM. 64 bit Windows 7 Pro SP1. Connected to a domain. Install time to successful logon: one hour, thirty minutes. This is an OEM machine with an OEM sticker that has not been upgraded from another operating system. The product key is correct on the sticker and in the registry. Since I should be eligible for the free upgrade, I didn't want to use one of my Action Pack licenses. BUT . . . and here's where you have to make sure you don't get confused . . . the free upgrade widget that everyone talks about is NOT an installation pack or an upgrade. It is simply a download engine for the new O.S. And even though a lot of messaging from Microsoft suggests that you could turn the download option on, the Windows 10 troubleshooter (http://aka.ms/diag_gw10app) says you cannot run the "Get Windows 10" app on a domain. So then you have to go find the install bits for the free upgrade. I did that at http://www.microsoft.com/en-us/software-download/windows10, although you can also go straight to http://go.microsoft.com/fwlink/?LinkId=616936 for the media creation tool for x64 edition. The media creation tool will ask whether you want to stick that on an ISO or USB. I chose ISO. Interestingly, when I ran an Office 2013 application on this machine the first time, it started an Office 2013 configuration program that ran for awhile. I'm not sure what it did. This is the machine where activation failed. I need to call Microsoft, BUT their troubleshooting screens are incorrect. I am not given an option to go to the store and I am not given an option to phone in for activation. So that's going to be a bit of trouble. I'm sure I'm not the only one. Machine Three is an HP Envy 15 Notebook. Intel i7-4700MQ @ 2.4 GHz with 12 GB RAM. 64 bit Windows 7 Pro SP1. Connected to a domain. Install time to successful logon: two hours. This is another OEM machine. A workhorse laptop. Install was uneventful. I am curious why the fastest, newest machine of the three, with the most RAM also took the longest. One clue is that the video drivers for the HDMI slot did not install properly. Have to call HP about that. Site has no driver updates. Also will not activate. Interestingly enough, the Product key on the OEM sticker is different from the product key reported by Belarc. Neither one will activate. Again, I'm sure MS has a way to deal with this. Just a pain for me. So . . . bookmark those links. Download the bits. Download the free documentation log. And GO SLOW. Right now it looks like you'll run into someone troubleshooting with activation and drivers. Commit to making this a very profitable adventure. It's not your fault that Microsoft is pushing out a new product, promising a beautiful free experience, and then having issues. You do not work for Microsoft. You don't have to take a financial hit. Good luck - and post your experiences below! Some of you may have noticed that I'm posting videos about Standard Operating Procedures on my YouTube channel - www.youtube.com/smallbizthoughts. I posted a few of them here in earlier posts. BUT I was in Australia last Friday and the Friday before, so I didn't take time to post videos on this blog. If you subscribe to my channel on YouTube, you'll get an email notice from YouTube when a new video is posted. I've been trying to improve the audio and lighting. I think the second one here is pretty good. At least it's headed in the right direction. When should you do it? Should you do it? And what haven't you considered? Get in the habit of training your staff - on processes and procedures as well as technology. Make it happen. I would really appreciate any "likes" and shares. If you have ideas or requests for topics, please send me a note. One of the first things Dave Sobel told me when he went to work for LogicNow, makers of MAXfocus, is that the company loves data - and knows what to do with it. I thought he was talking about the kinds of topics he's been speaking on for the last few years: industry trends and analysis. And while that's true, the MAX 2015 conference made it very clear that the picture is much bigger than that. MAX has an entire team of people who are looking at every every aspect of how their product is used by consultants. And, of course, they can analyze all monitored machines at a macro level. Because they have a hosted solution, they can do endless amounts of analysis on the back end without affecting performance on the front end. 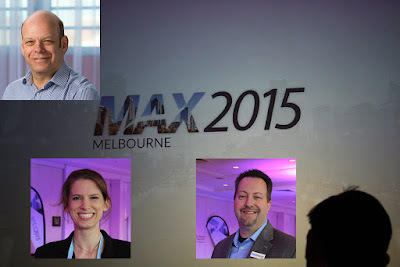 The first day of the MAX conference in Melbourne featured some very cool new features that rely heavily on the meta data of the MAX system. Dave talked about it in his opening comments, as did Alistair Forbes, General Manager for LogicNow. In fact, Alistair shared his opening keynote with Dana Bullister, a data scientist who works on figuring out cool new things to do with the data. Any product-focused conference is going to have sessions dedicated to the product. One of the great things about the MAX conference is that they have a solid business track for focusing sales, management, and internal processes of running a service business. The focus on data adds a very powerful element to that. Stay tuned to the SMB Community Podcast site for an interview with Dana B. on Big Data. If you have thought about it already, consider attending the MAX 2015 conference in DC or Manchester. See http://conferences.maxfocus.com. Come for the data, stay for the education. 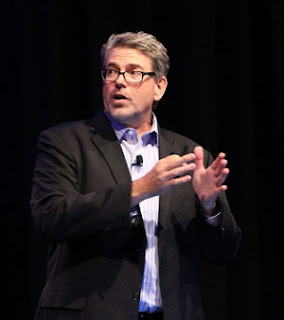 My keynote presentation at MAXfocus 2015 in Melbourne was about branding. I could have used MAX - and the whole LogicNow organization - to demonstrate the importance of consistency in messaging. 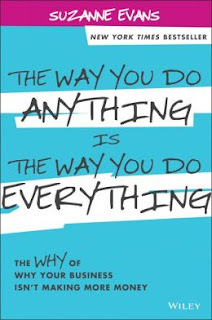 One of the books I mentioned in that talk was The Way You Do Anything Is The Way You Do Everything by Suzanne Evans. It is both a call for consistency and an encouragement to do higher quality work with more focus. Monica Caraway mentioned to me that she was impressed with the consistent messaging from all the MAXfocus employees. They use the same phrases, the same themes, and speak with the same sense of optimism and excitement about where their products and company are headed. This wasn't well-practiced phraseology. It was clearly a reflection of the company culture. It's always refreshing to hear people who are "set free" to say whatever they want by corporate employers. 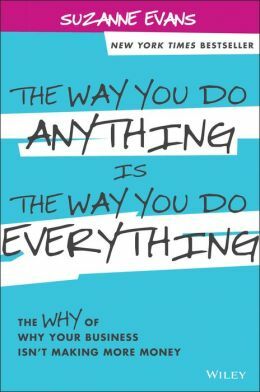 There's an amazing correlation between companies who do that (e.g., LogicNow) and employees who have a very positive, uplifting view of their company's products and services. The other best example I have of this is Microsoft. Their employees aren't judged based on public statements, and sometimes they criticize their own company. But I always feel like they're being honest and that they love their company. I know many examples of companies who tightly control what their employees say and who is allowed to say it. Sometimes I walk around the vendor floor at events with a recorder and ask each vendor to state their name, their company, their web site, and why we should do business with them. 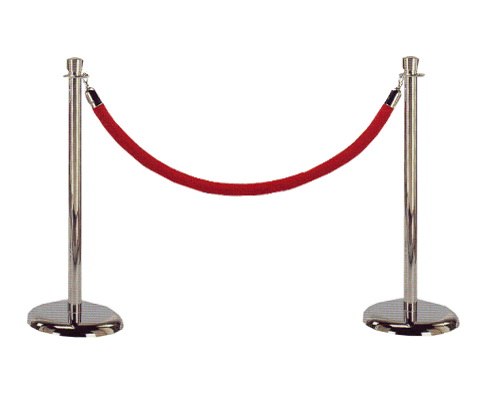 You'd be amazed at how many people tell me they are not authorized to do that. WHAT? You've been hired to work a tradeshow booth, but you can't give one sentence on why we should work with you? Congratulations to the entire team at LogicNow/MAXfocus for building a team that truly loves their jobs!